I'm terrible at writing reviews. If it's a great book, I'll say it's a great book, but the summary, to me, is like writing a blurb or a query! Which I have a hard enough time writing about my own. :-) Great post and as to reviewing a bad book, If the first couple of chapters are bad, I usually don't even finish reading it, so I don't review. Reviews must be the popular topic this week, because I wrote about them on my blog yesterday :-) Have a great day! Thanks for your comments and I have to agree it's not always easy and yes, if I really dislike a book I don't review it. It's not nice to just hurt someone because of your own tastes. Keep reading! I can understand your concerns. I've been reviewing books for around 8 yrs now and since I began my own site now have 6 reviewers on staff with my company. We post all reviews. As a review site that is what we do. We can't just put up the books we like. However I have strict rules and my reviewers get a manual with everything that I require from them and their reviews. From how it should look to what is acceptable. I stress that "snarky" is not allowed. EVER. So my suggestion is to always check out who you send submissions to review your book to. Look at how they present reviews. Especially the reviews that have ratings below average and see how they handle themselves. Make sure that have a rating system along with a heat level. And also if you have a book that has a lot of graphic scenes, sexual or otherwise. Make a note of that with your submission. So the reviewer isn't got off guard, like in my case, where they choose off of a large data base. Those notes are valuable. I also have two great editors that help me. And that too is an important factor an author should take into consideration when submitting a book for review. Thank you for your comments and you talk a lot of sense. Thank you for adding your contribution, I'm lots of people will find it useful. I am not a professional book reviewer, just a reader. 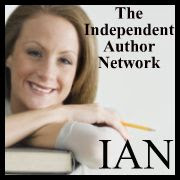 I blog about books I have read and write brief reviews to help other readers and because authors like reviews. I am not good at writing reviews, but I try. These are great tips! Thank you for reading my web/blog. I feel like you sometimes but it is nice to get those reviews! Keep reading!